Imagine that your muscular system is a soccer team. Ideally, you want to keep eleven players on the field and have a plentiful squad of reserves to back up and support the starting eleven. Now imagine playing a game with only the goalkeeper, one defender, one midfielder, one striker, and no substitutes. Four players playing a game that is meant to be played by eleven. When playing against a full squad with a full bench of subs to boot, those four players will get tired far quicker, be more likely to get injured, and will lose the game 99 times out of 100. No matter how good the coach is, disaster is unavoidable on every front. This depleted squad of players can be thought of as your neuromuscular system without Muscle Activation Techniques (MAT). Throughout the course of our lives, our brain (the coach) will lose, temporarily, the ability to recruit some muscles (the players) to aid in force production. Inhibition (the loss of the players) can be the effect of a veritable laundry-list of causes. The muscles that remain have to shoulder the burden (playing the game) and attempt to accomplish tasks without the help of some or many of the muscles that should be there to help them. The forces exhibited on the body during these tasks (the opposing team) stay the same. Your brain has to figure out a way to still accomplish the task at hand (play the game) without the luxury of having all possible muscles at its disposal. If the force exhibited on the muscular system during a task is such that the brain cannot figure out a way to accomplish it without the missing muscles, injury occurs. The muscles that remained could not meet the force production or absorption requirements of the task being performed, therefore one or more of those muscles gets damaged. 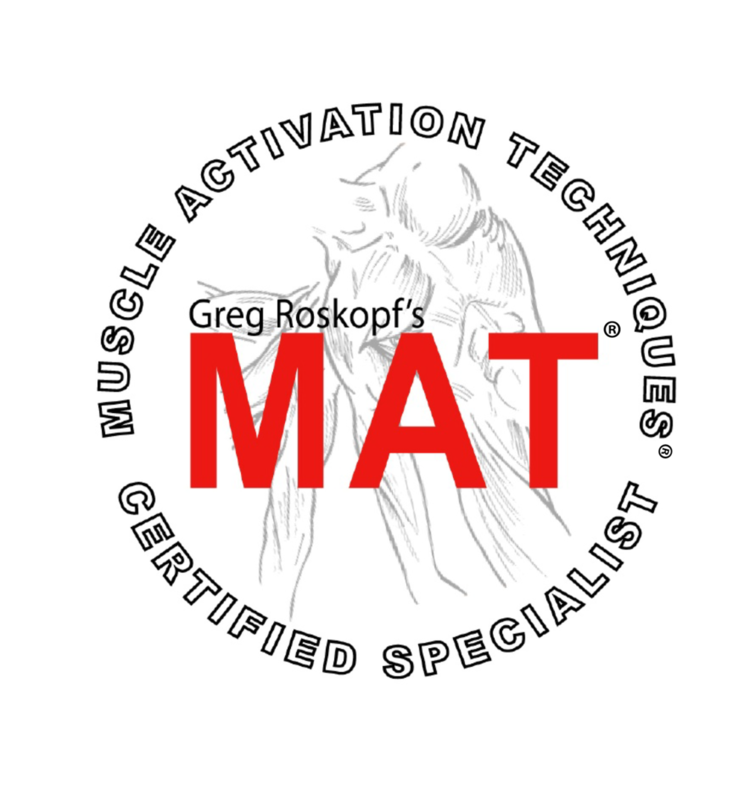 MAT is a process that does what no other tool can: it looks for, finds, and brings the missing muscles back into the equation. By bringing the previously absent players back into the game, as well as restoring the reserves to the bench, not only can the injured players take the time needed to rest and recover from their injuries before returning to the fold, but the team once again has a chance to win the game. There is now a full sided squad, with plenty of fresh players on the bench if needed, at the disposal of the coach. It used to be the case that you had to settle with the fact that you were playing with less than the full complement of players. But now through MAT, there is finally a way to play at full strength. Don't continue to play game after game with anything less than a full team!